Police to deploy 28,000 personnel for Anambra elections – Royal Times of Nigeria. 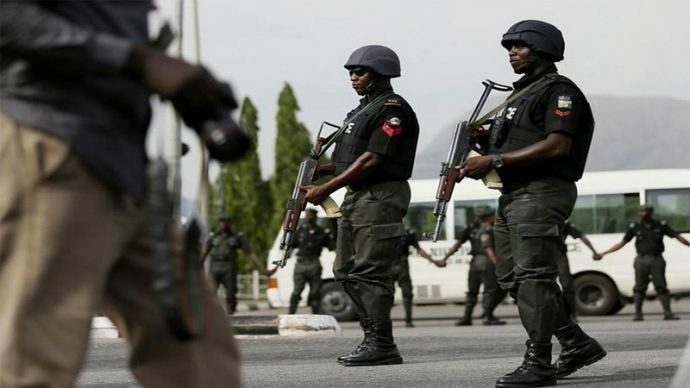 The Commissioner of Police in Anambra state, Garba Umar says 28,000 police personnel will be deployed for the governorship election scheduled for November 18. Umar said this at a meeting in Akwa, with heads of security formations in the state and representatives of the 37 political parties fielding candidates for the election. He added that 400 vehicles, 100 flying boats consisting of 60 from the police and 40 from the Navy would be deployed for use by security operatives in riverine and upland communities. Umar who also read the act guiding political parties before, during and after the election, cautioned them against defacing opposition posters, hate speeches, and other violent conducts. He said that security operatives had identified 414 flash points of possible cases of electoral fraud and violence and had taken proactive measures to checkmate any security breech. He said that the police and other security organisations would not spare anybody violating any law before, during and after the election. Umar said, “The police have received a number of petitions from some stakeholders that are being investigated by the political desk of the state Criminal Investigation Intelligence Department (CIID). Other issues that have arisen thus far are clashes in Nsugbe town between members of APGA and APC, clashes of parties on their campaigns tours at Nteje in Oyi where the PDP and APGA teams held rallies simultaneously on Oct.28, 2017,” .